Head to Kroger and pick up some nice deals on Purina Dog Treats. 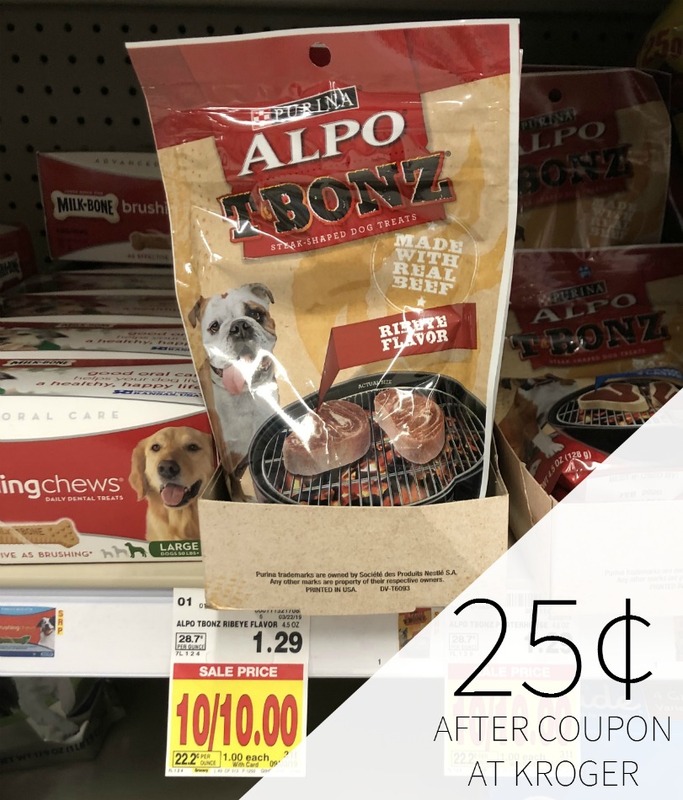 With the sale and coupon, you can grab the bags of Alpo T-Bonz for as little as 25¢ each. As low as $2.04 each after coupon. As low as $2.74 each after coupon. -$1/2 Purina Alpo, Beggin, Beneful, Beyond, Dentalife, Honest to Dog, Puppy Chow or Purina One Dog Treats, exp. 5/10/19 (RMN 02/10/19 #2) [Bags; Limit of 4 like coupons per household per day; No cash back] As low as $2.04 each after coupon. -$1/2 Purina Alpo, Beggin, Beneful, Beyond, Dentalife, Honest to Dog, Puppy Chow or Purina One Dog Treats, exp. 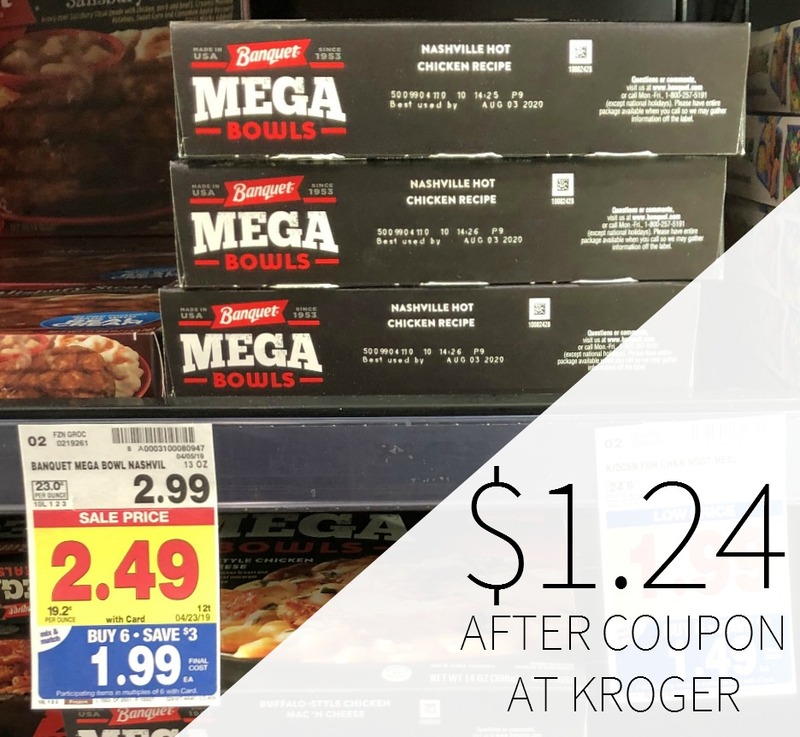 5/10/19 (RMN 02/10/19 #2) [Bags; Limit of 4 like coupons per household per day; No cash back] As low as $2.74 each after coupon.